Known as Shati in Ayurveda, Kappor Katcheri herb and the essential oil extracted from the rhizomes of this plant through steam distillation process has been in use traditionally for treating respiratory problems (like bronchitis and asthma), wounds, fever, ulcers, cough, indigestion, hiccough, inflammation and certain other eye problems. Kappor Katcheri is a Hindi name and is scientifically called as Hedychium spicatum. It is a limb of the Ginger family Zingiberaceae. It is a small hardy ginger with bright and large white and orange flowers and is indigenous to the subtropical Himalayan regions in India at an altitude of 1000 to 3000 m.
The aromatic and herbaceous rhizomes of Kappor Katcheri herb has been used in various traditions for treating numerous health conditions. The Ayurvedic healing system use this herb for curing respiratory problems, poor blood circulation, indigestion, wounds and inflammation. It was used as a natural remedy for treating diarrhea, vomiting, snake bite, fever and inflammation in the Traditional Chinese Medicine. Kappor Katcheri was used in the Tibetan medicine for its heating potency and acrid taste and was also used as an effective insect repellant. Known as Sanna in Japan, the rhizomes of this plant are also used in preparing Attar Ekangi in India. The major chemical constituents present in Kappor Katcheri essential oil are limonene, cineole, terpinene, linalool, p-cymene, terpeneol and phellandrene. 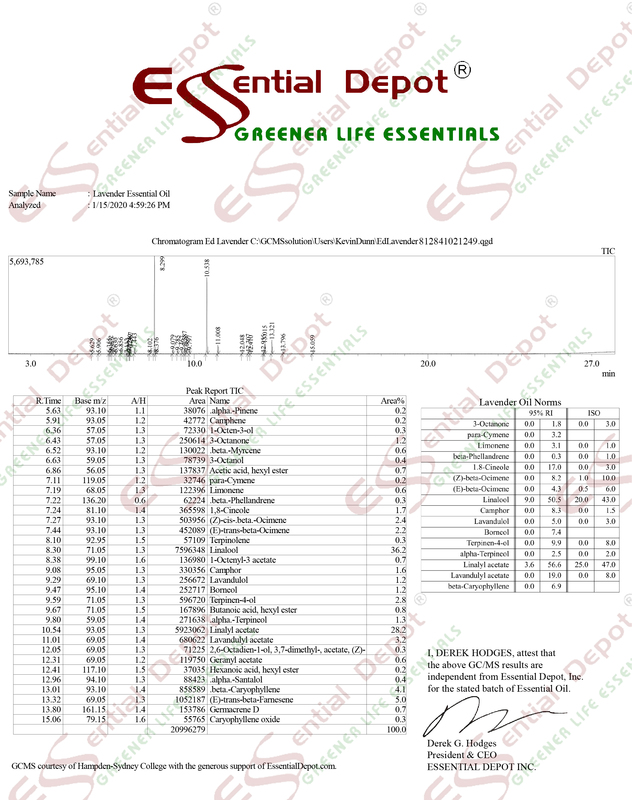 These components contribute to its remedial properties like antioxidant, antifungal, hypoglycemic, in vitro pediculicidal, spasmolytic, cytotoxic, tranquilizer, CNS depressant, febrifuge, anti-inflammatory, anthelmintic, analgesic, antispasmodic, hypotensive, vasodilator and antimicrobial. Ayurveda is the oldest of all healing methodologies on earth dating back to more than 5,000 years. This ancient science aims at educating humanity about the natural remedies in treating illnesses, ways to prevent sickness and pass towards healthy aging. The Ayurvedic Physicians like Charaka, known as the Father of Medicine and Sushruta called as the Father of Surgery have enlisted almost all the possible natural remedies for a wide range of illnesses in the Ayurvedic encyclopedias well-known as Charaka Samhita and Sushruta Samhita respectively. These ancient treasures talk about all types of healing herbs on earth and their effectiveness in curing various illnesses. According to these books, Kappor Katcheri is an excellent remedy for treating respiratory illnesses like asthma and bronchitis. Along with herbs, Ayurvedic treatments include the use of essential oils, practicing healthy and balanced diet, Ayurvedic routine, meditation, physical exercises and yoga. Every human being is a unique part of nature according to Ayurveda and it suggests that the treatment should also be unique according to an individual’s constitution even for the same illness. This constitution is made up of three vital bio-energies known as doshas that is vata, pitta and kapha. Every one of us will have a predominance of any one of these doshas that determines our health, personality and behavioral attributes. Balance between these doshas indicates good health and imbalance between these doshas symbolize illness. Ayurvedic medications are prescribed in such a way that it treats dosha imbalances. 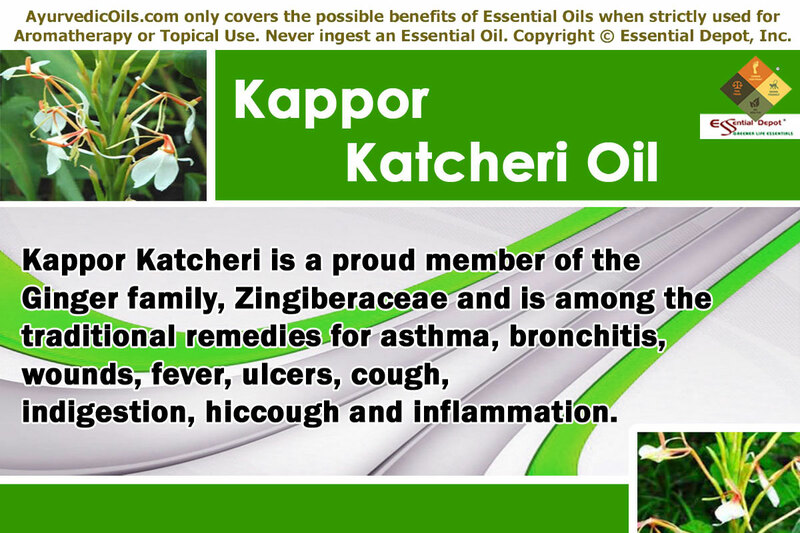 Kappor Katcheri essential oil lessens pitta and kapha dosha and aggravates vata dosha. The powdered rhizomes of Hedychium spicatum has been used clinically and in the traditional healing system for treating respiratory problems like respiratory inflammatory conditions including asthma, bronchospasms and bronchitis. It has also been proved effective in treating cough, cold, headache, fever, sinusitis and certain other breathing difficulties. A 2012 study on ‘Pharmacological evaluation of extracts of Hedychium spicatum (Ham-ex-Smith) rhizome by Shivani Ghildiyal, Manish K. Gautam,Vinod K. Joshi, and Raj K. Goel’ states that the rhizomes of Hedychium spicatum has been reported to contain antiasthmatic, anti-inflammatory, vasodilator, hypotensive, spasmolytic and hypoglycemic properties. Based upon various animal studies on mouse and Guinea pigs, this study concluded that the rhizomes of H. spicatum has anti-histaminic, bronchodilator, analgesic, anti-inflammatory activities that are essential to soothe pain, inflammation, asthma, bronchoconstriction and other respiratory problems. Heat 2 drops of Kappor Katcheri oil with 1 ml of coconut oil and apply it on the throat, chest and back or add 2 drops of this oil in steam inhalation for relieving from congestion, bronchial spasms, asthma, cough and breathing difficulties. The spicy and camphoraceous aroma of this oil along with its chemical constituents like terpinene and cineole have been proved as powerful analgesic and anti-inflammatory agents that assist in treating respiratory problems since the ancient times. 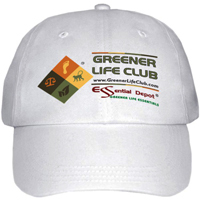 Bacteria, fungi and certain other micro organisms are responsible for numerous health problems. These organisms damage the cells and weaken the immune system while making the body susceptible for diseases. As a natural antimicrobial agent, Kappor Katcheri essential oil comes to your rescue when there’s a need to keep micro organisms at bay. Add 2 drops of this oil in warm bathing water to prevent and protect you from microbes. You can add 1 drop of Kappor Katcheri oil with 10 drops of coconut oil and apply it on wounds, ringworm, acne, cuts, athlete’s foot, nail infections and other skin allergies for visible results. 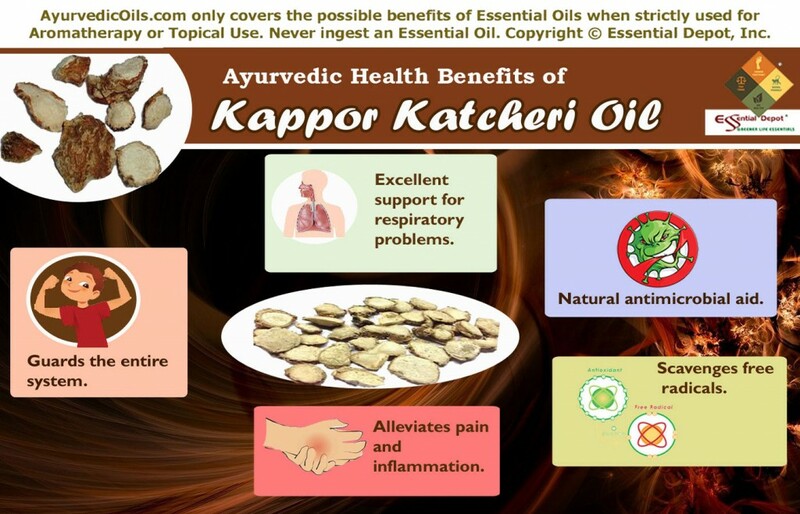 Kappor Katcheri oil has antioxidant properties that assist in scavenging free radicals, which are known as reactive molecules engaged in numerous physiological processes and human illnesses like arthritis, cancer, ischemia, alcoholism, ageing, liver injuries and certain other toxin induced reactions. A 2011 study on the ‘Antioxidant activity of Hedychium spicatum Buch.- Ham. Rhizomes’ by T Sravani and Padmaa M Paarakh, Department of Pharmacognosy, The Oxford College of Pharmacy, India published in the Indian Journal of Natural Products and Resources demonstrated that the rhizomes of Hedychium spicatum plant possess strong antioxidant activity. You can use the essential oil extracted from these rhizomes as bath oil by adding 2 drops of Kappor Katcheri oil to your bath tub or by using it in massage by blending 4 drops of Kappor Katcheri oil with 2 ml of sesame oil for combating the effects of free radicals. Kappor Katcheri oil possesses analgesic, anti-inflammatory, spasmolytic and tranquilizer effects that aid in treating pain, inflammation, arthritis and rheumatic problems. Blend 2 drops of Kappor Katcheri oil with 1 ml of sesame oil and massage on the affected area or add it in hot or cold compress to relieve pain, inflammation, spasms and irritation. When applied to the painful parts this blend will cause numbness and reduce your pain gradually. Apart from these major uses, Kappor Katcheri oil is known for its effectiveness in treating gastric ulcer, fever, intestinal infections, abdominal pain, blood purification, eye diseases and hypertension. This article is only for the purpose of education and is not meant to replace any prescription medicine or professional advice of a medical expert. Do not use essential oils internally. Always use essential oils in a diluted form as pure and organic essential oils are highly concentrated liquids and can cause harm if used directly on skin. It is advisable to do a patch test on your skin before using essential oils to test its suitability to your skin condition. Consult your Ayurvedic practitioner regarding the use of best essential oils for your unique health condition and individual constitution.